The brand-new think tank Fiat Chrysler Automobiles set up for Alfa Romeo and Maserati is tucked away in a suburban industrial precinct of Modena. 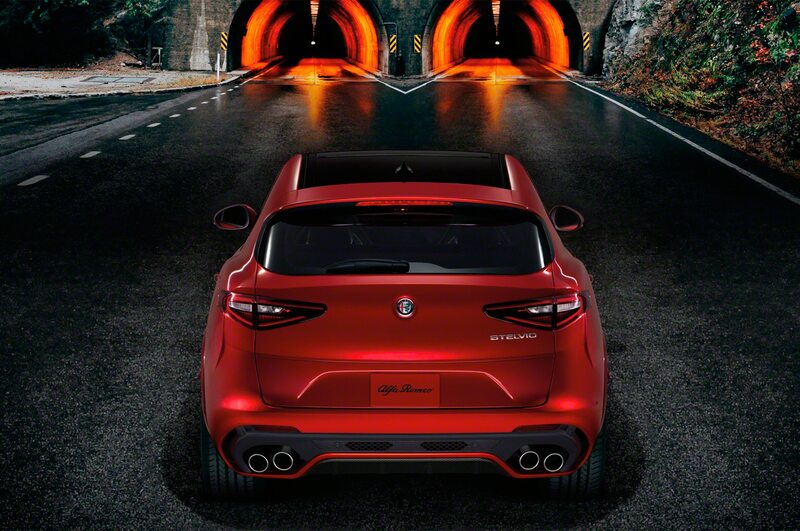 FCA CEO Sergio Marchionne has called the venture “our skunkworks, the home of project Giorgio.” Giorgio is the codename of the modular architecture for rear- and all-wheel-drive applications that underpins the Giulia and now also the 2018 Alfa Romeo Stelvio, the marque’s first SUV. 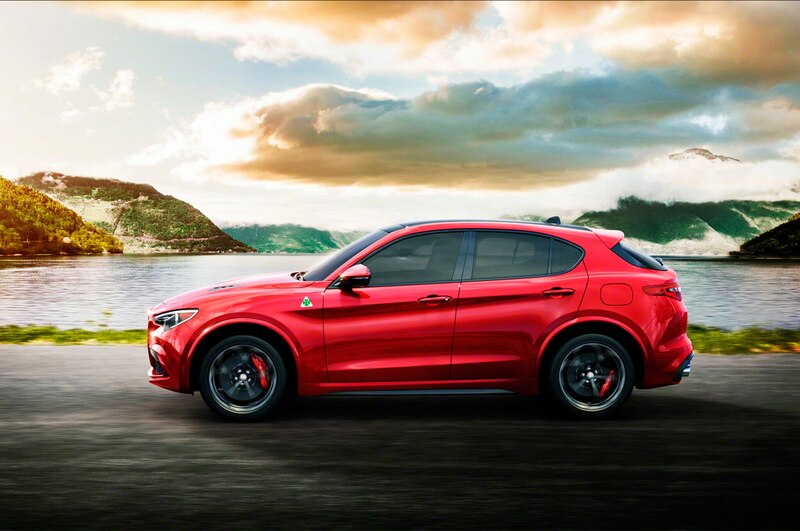 Named after a famous pass in the Dolomite Mountains, Alfa’s new crossover is destined to attack the likes of the BMW X3, Audi Q5, Mercedes GLC, and most notably, the Porsche Macan. Clad in concrete, steel, and glass, the cubistic skunkworks is about as efficiently cordoned off as the Bank of Italy. It takes two different passes to access the top floor where management sits and a special red key card is needed to enter the inner sanctum. The most senior card holder is Roberto Fedeli, who was technical director at Ferrari before switching to BMW where he worked on Project i for a couple of years. 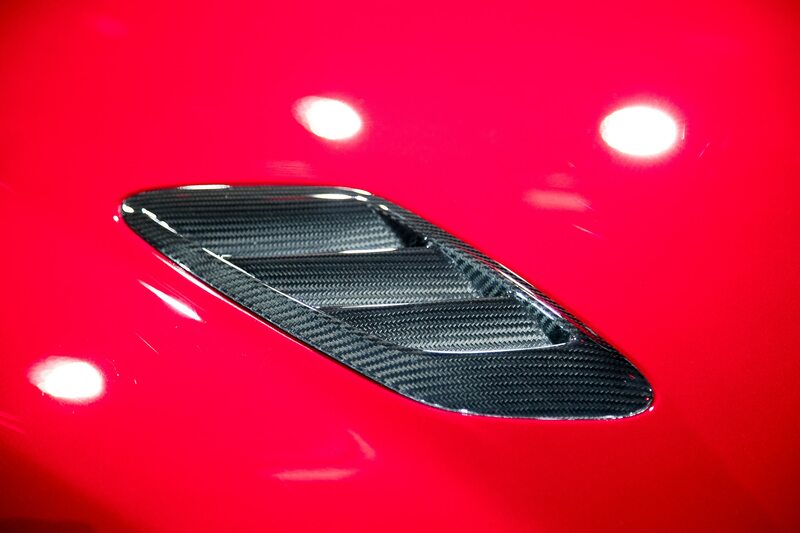 Early this year, the phone rang and Marchionne made an offer Fedeli couldn’t refuse: Running Alfa and Maserati. “What more could an Italian engineer ask for?” Fedeli says. Not much, we gather. At 4 p.m. on this Friday afternoon, every seat is still taken, all the computers are on, and the background noise could easily be mistaken for a busy call center. Cozy rest areas and small conference rooms are conspicuous by their absence. It’s cool and cold, contemporary and cramped, with an overall vibe that matches the constructive minimalism that has defined project Giorgio from day one: small team, tight budget, low volume. 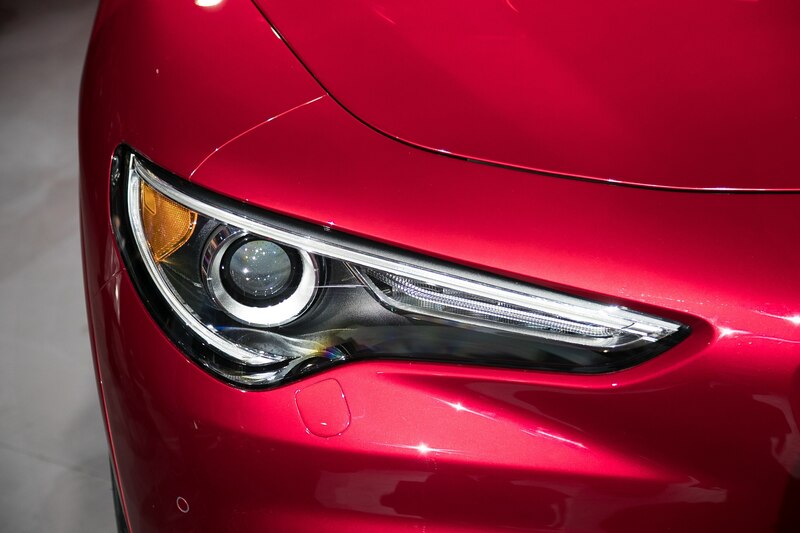 It’s a group that’s fighting a fierce uphill battle against the German premium brands. 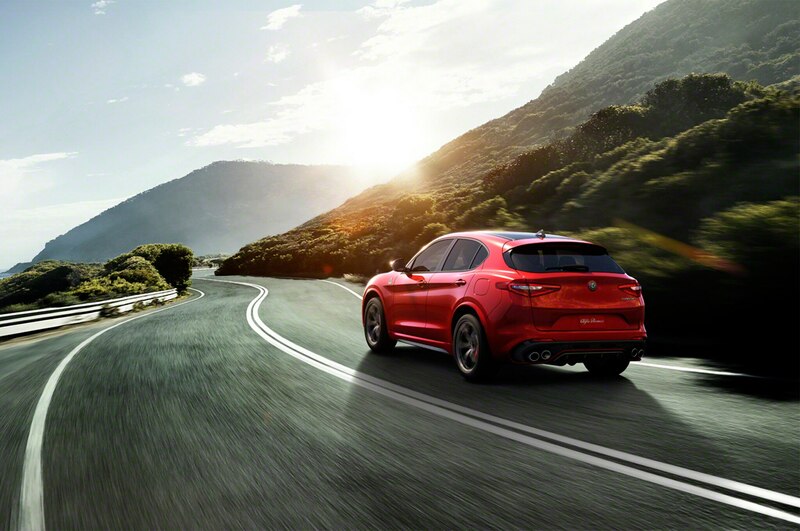 Although the Giulia has been well received, it’s the SUV which must attract new clients and secure a sizeable slice of the juicy crossover pie. The brightly lit main workshop is crammed with cars — facelifted Maseratis and the new Levante crossover, partly disguised Alfas, large SUVs shrink-wrapped almost entirely in psychedelic foil, and of course, a handful of Stelvios in various stages of disassembly or completion. Fedeli leads us to a secluded outdoor parking spot where a heavily camouflaged Stelvio is flanked by an X3 and a Macan. 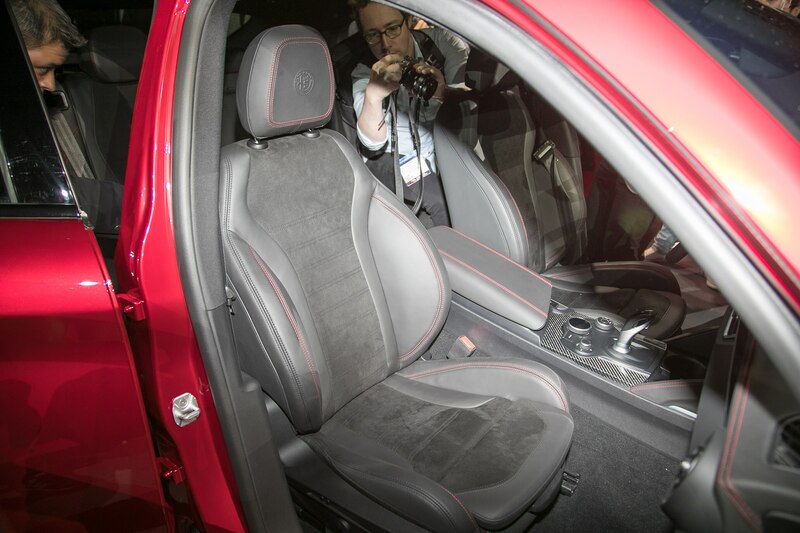 Inside, the Stelvio doesn’t differ much from the Giulia. But from behind the wheel, it feels like a real crossover. Obvious differences? 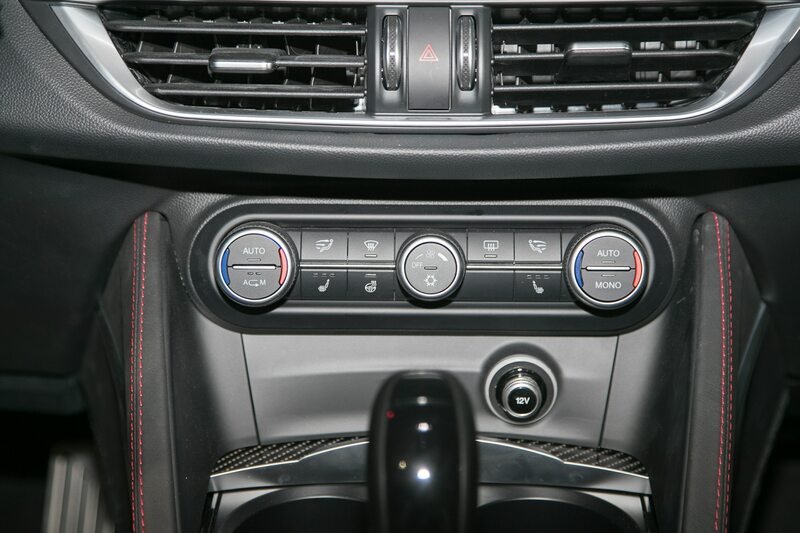 The two main dials have been freshly calibrated, the seats are more comfortable and you sit a bit higher in them, and the soft-touch surfaces feel classier. Little things matter. One stab at the starter button and the engine duly probes its vocal cords. 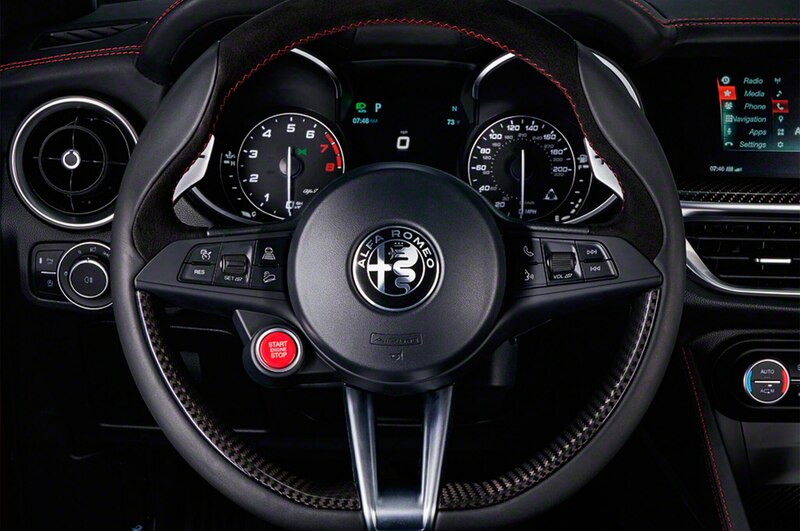 The hoarse tonality is in sync with the Giulia Veloce which shares its turbocharged 280 horsepower 2.0-liter four with the Stelvio. Mirrors? Check. Driving position? Check. DNA calibration? Let’s switch to dynamic straight away. Road clear? Yep. So off we go, merging smoothly with rush-hour traffic, heading toward Modena’s hinterlands. 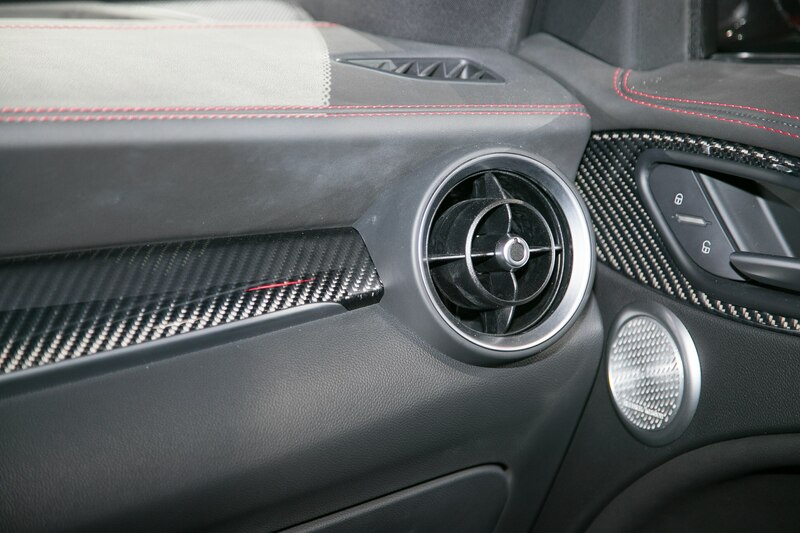 Nobody seems to take notice of our spotted and swirly prototipo, which feels eager and agile even though the eight-speed automatic is still stuck in third, waiting for a gap that never comes. It’s a compellingly competent transmission. 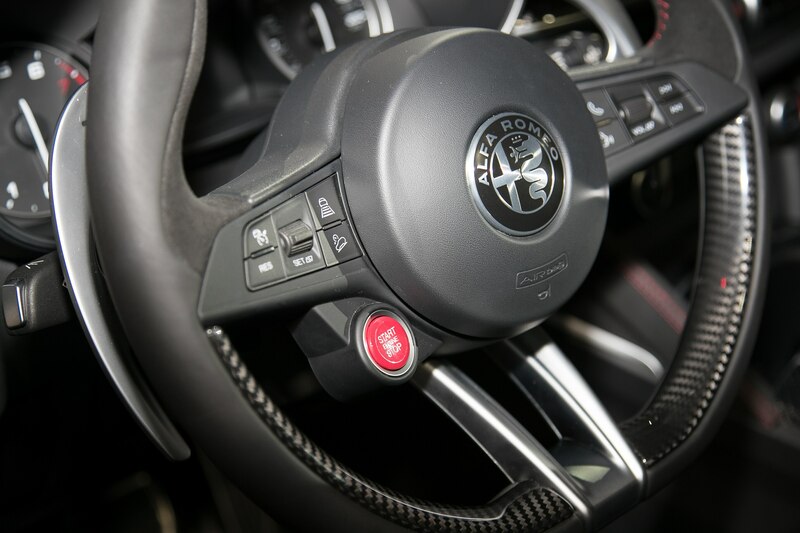 In Dynamic mode, gears are whipped through the gate in time-warp 150-millisecond stints, according to Alfa, which is faster than some dual-clutch boxes. Rear-wheel drive isn’t an option. Apparently, that’s what the market wants, and it certainly keeps complexity at bay. Flicking through the DNA menu reveals distinctly different characteristics from relaxed and comfy to taut and energetic. The drivetrain blends riveting low-gear punch with strong high-gear urge, and the transition between these worlds is remarkably seamless. The Stelvio would drive circles round the soon-to-be-replaced X3, is a more emotional piece of kit than the nicely balanced Q5, and feels a bit more refined than Jaguar’s F-Pace. 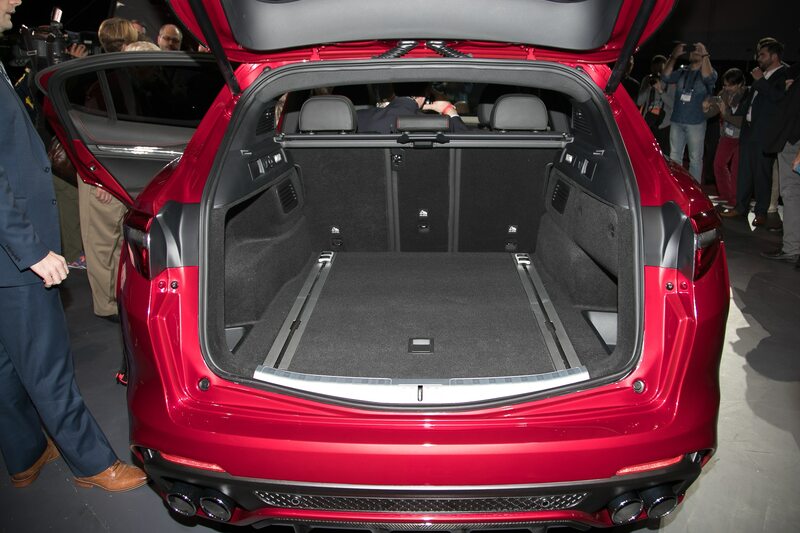 But the Macan is a tough nut to crack. 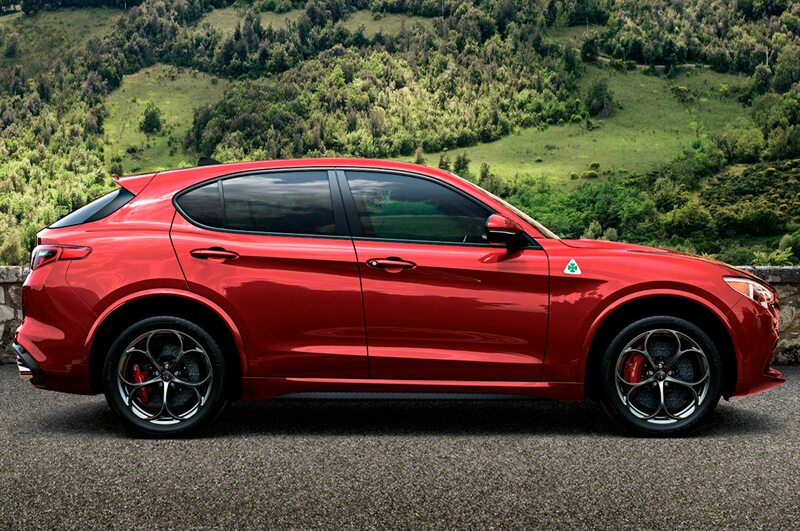 Dynamically, the Alfa comes close; in terms of ride comfort, even the Stelvio’s optional bigfoot 19-inch wheel/tire package is more spine-friendly than the corresponding Macan footwear. Value for money is another strong point: the Veloce is expected to undercut the X3 by 20 percent and the all-in QV is said to cost 15 percent less than the Macan Turbo. 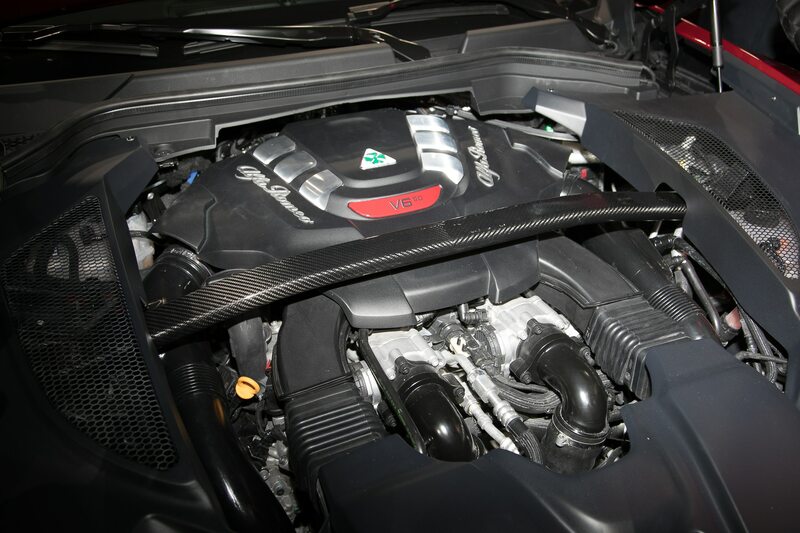 In the high-tech department, however, the Italian contender falls short of its German rivals. 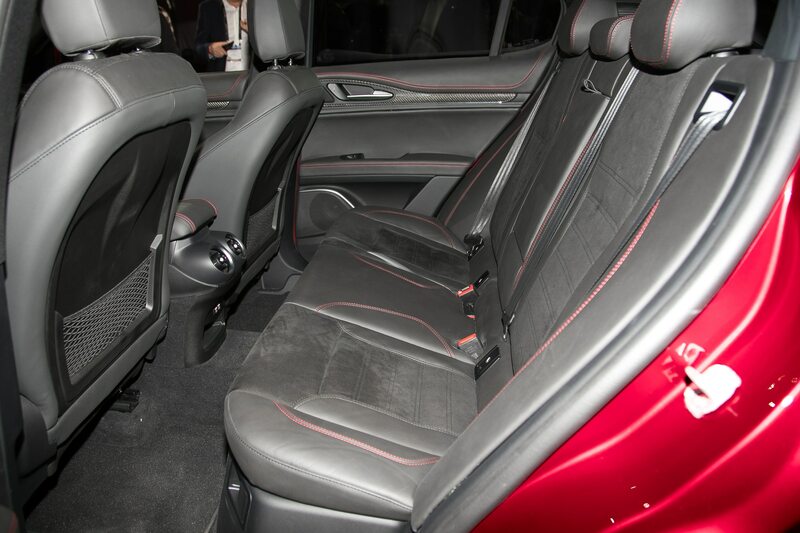 Missing from the options list are several assistance systems, LED headlights, head-up display, and an air suspension. But who else offers rosso competizione in an executive car park dominated by depressing black, snore white, and yawn gray? Although the Stelvio exceeds the Giulia by about 1.5 inch in length and just south of 8 inches in height, the taller silhouette has no obvious negative side-effects on ride, handling, road-holding, and performance. 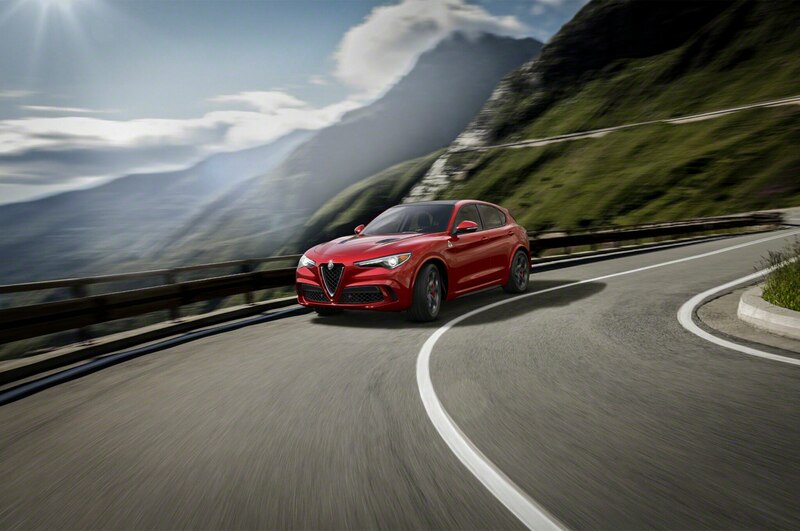 Unlike the Levante, Stelvio is fitted with an electrically-assisted steering which feels more precise and communicative. Even in combination with the biggest available tires, the adjustable shock absorbers strike a fine balance between grip and absorption. 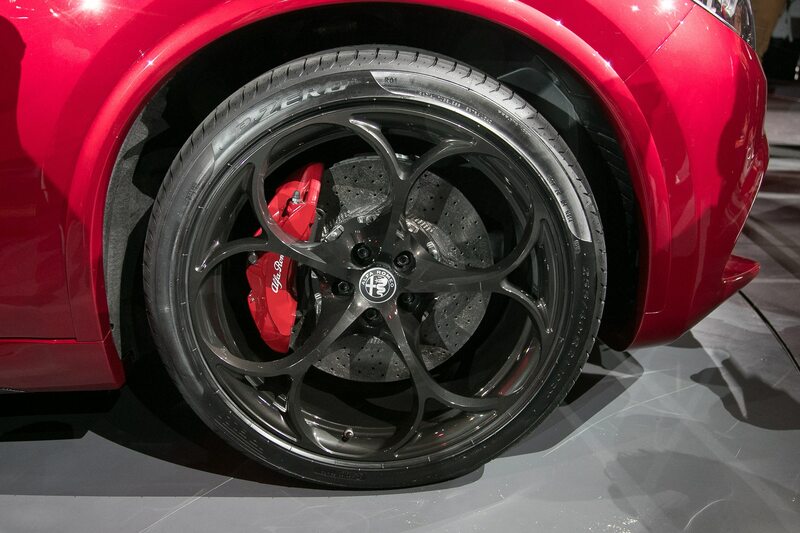 The standard Brembo brakes operate with a reassuring reverse-thrust effect; the even more potent carbon-ceramic rotors are exclusive to the QV. Handling? 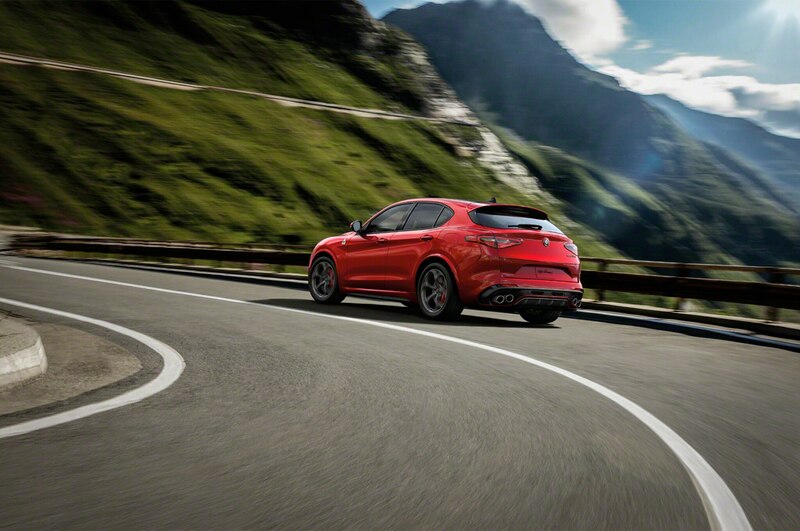 Our high g-force experiments were restricted to a couple of three-lane roundabouts, but it was enough get a sense of the Stelvio’s impressive grip and traction, which is further augmented by subtle torque vectoring interaction. This is a very well balanced crossover, sinewy and sublime in the way it talks you through the action. 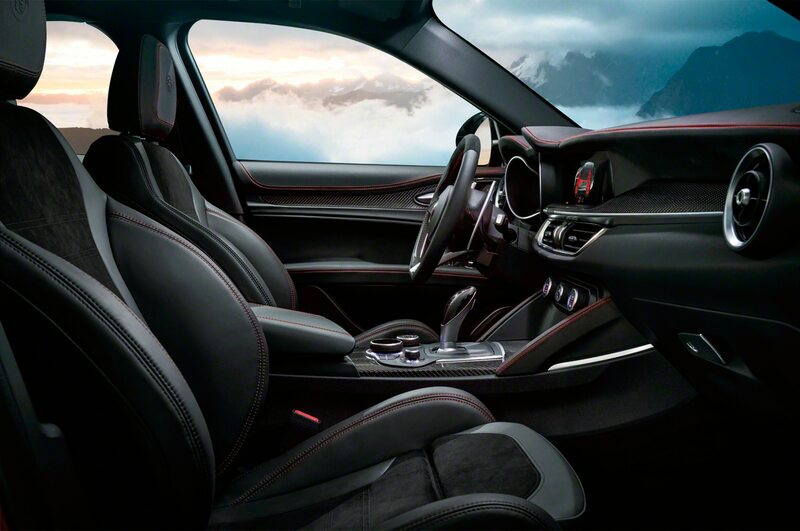 Alfa has yet to release weights and performance data, but with a chassis and hang-on panels made of aluminum and a carbon-fiber propshaft, not even the QV should tip the scales at more than 3,850 pounds — roughly 400 pounds less than the Macan turbo. 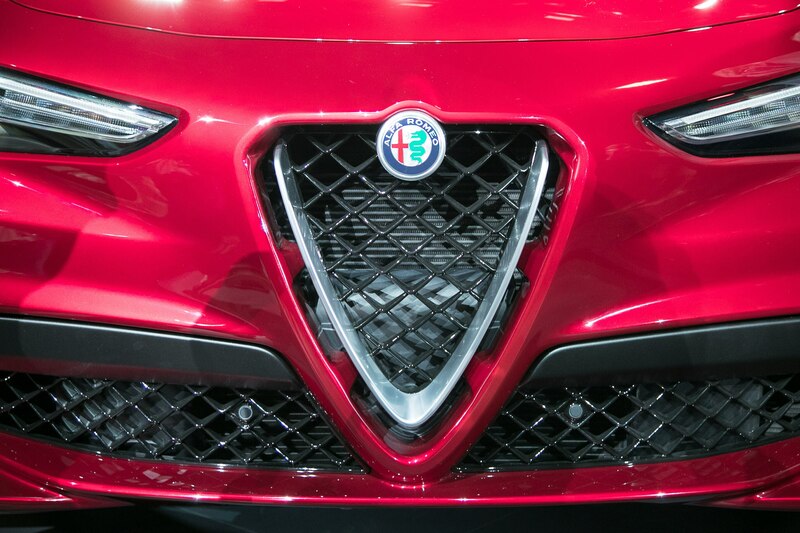 Like the Giulia, the Stelvio will come with 2.2-liter diesel variants we won’t see in the U.S. 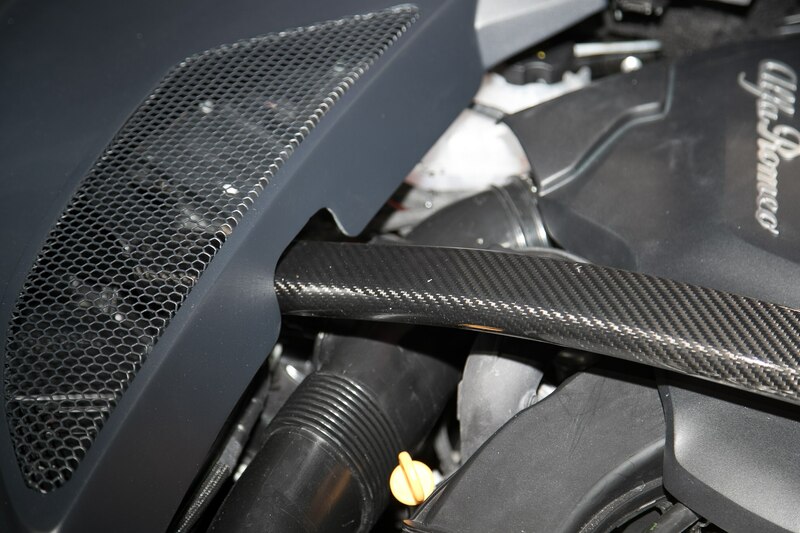 The 2.0-liter gas units are rated at 200 hp and the aforementioned 280 hp, 306 lb-ft tune (the only version we get here). 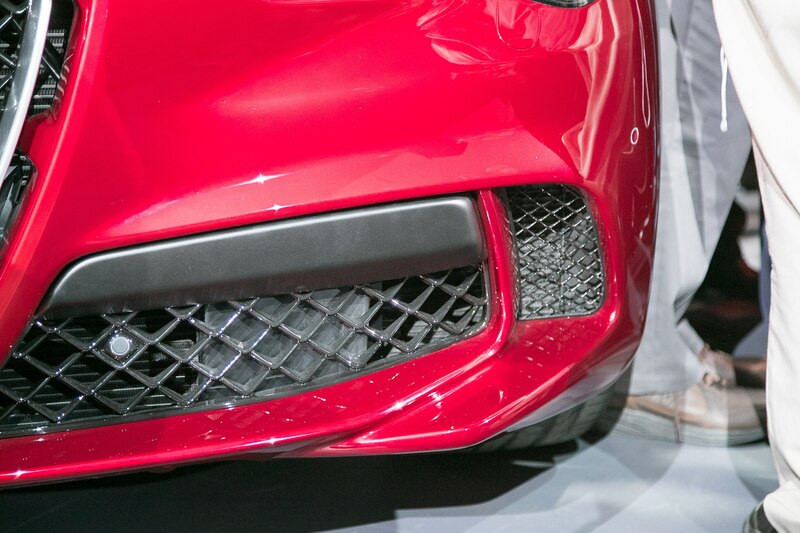 The line-topper is the Quadrifoglio with its 505 hp, 2.9-liter twin-turbo V-6 developed with a little help from Ferrari. 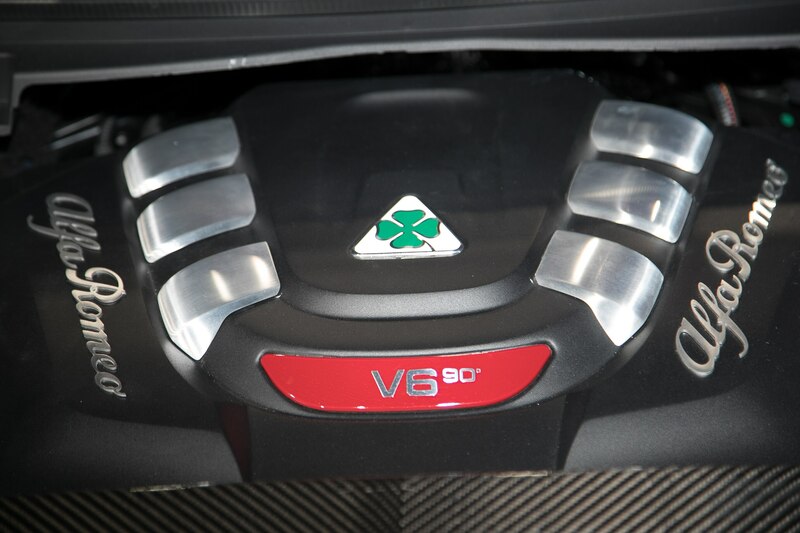 The obvious gap between the 280-hp four and the 505-hp six will likely be plugged by a less extreme V-6 before long. Fedeli readily admits alternative drivetrain solutions in the making. 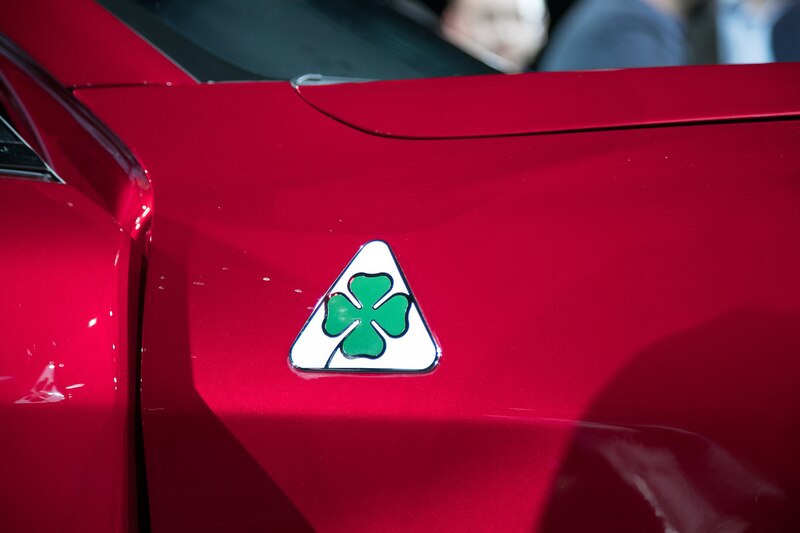 “But it’s still much too early for an all-electric Alfa Romeo,” he says. The capacity of the Cassino plant, which currently runs at 1260 units per day, will be further increased as soon as demand picks up. 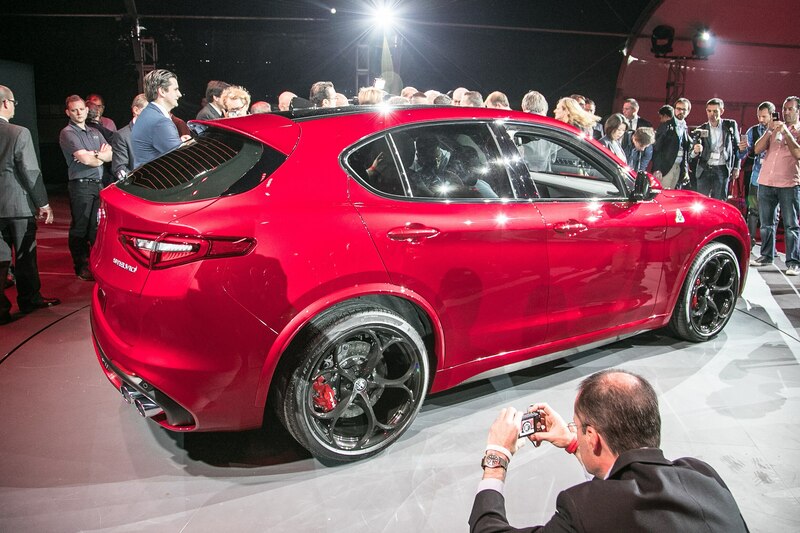 Come 2018, a larger, still nameless SUV is going to share the assembly line with the Stelvio. Codenamed 964, it targets Q7, X5, and GLE, to name only the key contenders. 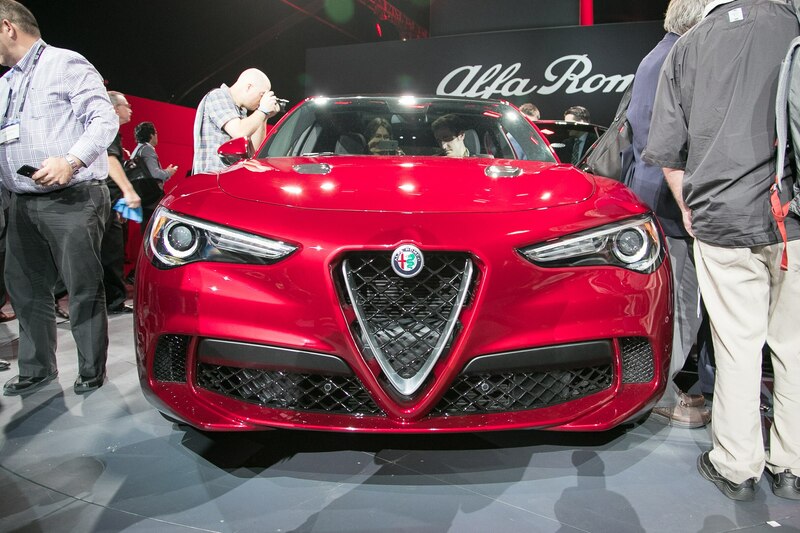 If these two crossovers perform as well in the marketplace as they should, they are bound to earn the money Alfa needs to kick-start a bigger sedan, a sports car or two, and the Giulietta replacement. According to the large digital floorplan layout displayed in the foyer, we can also expect at least two more high-end surprise newcomers from Fedeli’s skunkworks. We can’t wait to see what else project Giorgio has in store.